Is riding your passion but you have lost your confidence? 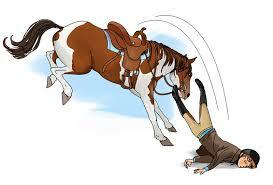 Perhaps you have a fear of riding your own horse. Maybe it was down to a bad fall and you need to regain your confidence after an accident. Loss of confidence and a fear of riding doesn’t always, have to come from a crashing fall – the general ups and downs of life also take their toll on our confidence, energy levels, emotional state and motivation, all of which affect our ability and confidence as riders. Often Mums feel that they lose their confidence, and are not as gung ho as they used to be after having a baby, however its mother nature’s way of trying to protect you so you can look after your babies. Sometimes we worry so much that the worst is going to happen, such as ‘I am going to fall’ that the worries become reality. We can have negative self-talk, like a little devil sitting on our shoulder telling us that we are no good. Do you worry about riding in front of people, even in the arena at home? Perhaps you look at the floor and curl up in to foetal position in an effort to hide and protect yourself from the on lookers then of course the horse does not go well. Or perhaps you assume that any on lookers are saying negative things about you and your ability. Have you ever wondered what causes this to happen? Have you ever wondered what that something is that you are lacking? How many hours a week do you spend physically training yourself and your horse? Hours and hours? I can take a guess that you neglect one of the most important muscles. Which muscle is that I hear you ask … the answer is your brain. ? Your brain is a muscle too, it also needs to be trained just like all your other muscles. Our unconscious mind is very powerful. Think of it a little bit like a computer it runs programs all the time that we are not aware of. It tells us to breath (very important) it tells us how to walk without having to think about it consciously. It tries to protect us and keep us safe, but it sometimes mistakes trying to keep you safe by running a fear or nervous program that prevents us enjoying our riding. You were not born with this fear or unwanted computer program, it has learnt to do. So the good thing is you can unlearn this, and run a positive computer program to enable you to enjoy riding. We initially will have a phone consultation at an agreed time. This is important so that we can understand what you want to achieve through the coaching sessions. You will then be sent some pre session tasks, which must be completed before the first session commences, this is because changes will happen outside of the sessions as well as during the sessions. The sessions are professional, relaxed and where possible fun. In the first session we set out your riding goals that your wish to achieve, and agree the process of how we will get there. We start your journey by finding the old unwanted habits, emotions and behaviours that are preventing from enjoying your passion and riding. Everyone is unique, so all the sessions are bespoke to meet your own unique needs. With Sports Coaching, hypnosis for riders and a number of NLP techniques, we teach you to change and manage the little nagging voices and demons with that negative self-talk by enhancing your self-belief. We use visualization and affirmations to help you believe in you. We look at how you respond to failure or committing errors, setting goals and maintaining a positive attitude. Often when we start to address the rider confidence it can have a positive trickle effect into other areas of our lives too. You started to enjoy your passion again? Your unconscious mind ran a programme that gave you the results that you wanted. You no longer had the unwanted fear of riding. Your riding confidence came back. You no longer worried about falling. 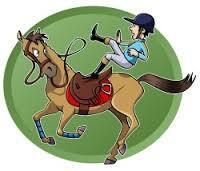 You felt confident and relaxed in the saddle. You could enjoy going out for a hack, or riding around the arena at home. You think about the positive things that are going to happen not the worst that might happen. You could enjoy being with your horse again.